People aren't coming to church. But this isn't because the American society has lost faith in God; it's because people have lost faith in the Church. Faith Outside the Walls addresses this issue from a sociological perspective. Through exhaustive research, Dempsey has uncovered a look at the faith of those who do not attend church, why the future of the churches is dismal unless changes are made, and why people are disenchanted with churches in general. But Dempsey doesn't just put his finger on the symptoms of the problem; he provides practical suggestions for how churches can become more responsive to the needs of faithful, yet non-churchgoing Americans. Ron D. Dempsey is Assistant Dean of Academic Affairs and Assistant Professor of Sociology at Presbyterian College in Clinton, South Carolina. He works with the South Carolina Baptist Convention as a strategic church consultant, where he deals with issues surrounding the growth of churches. In 1992, Dempsey received the Albright Donhardt Award for Empirical Research, an award given for theological doctoral dissertation for empirical research. 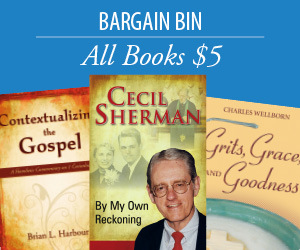 He received the Excellence in Research Award in 1993 from the Southern Baptist Convention Research Fellowship. One cannot deny the fact that the unchurched percentage of the American population is on the rise. Leaders of churches and denominations are grasping for resources that seek to profitably address this topic. 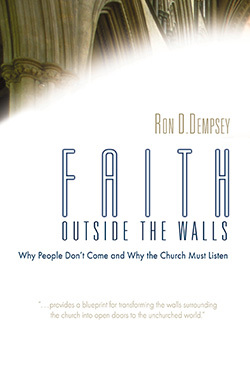 Dr. Ron Dempsey’s Faith Outside the Walls is a welcome addition. The primary thrust of most of the books on this topic is on describing the distribution and the elements of the unchurched demographically. In contrast, Dr. Dempsey makes a serious attempt to help us understand the development pathways of the religiosity of the unchurched. Dempsey carefully argues that the factors that have shaped the religiosity of the unchurched are not theological but strictly sociological. From this premise, he devotes the first two chapters on two major cultural changes in the United States—the secularization process at both the cultural and institutional levels and the privatization process at the personal religious level. Using Richard Fenn’s five-stage theory of generalization of religion in a society Dempsey illustrates how mainline Christianity disintegrated in American culture. That collapse began with relegation of religion to the private sphere, followed by the development of generalized beliefs and values for the larger society. In the process of cultural secularization, Christianity was dethroned from being the only source of absolute truth that brought cohesion to the nation with its values and beliefs. Thus the Church has become one of many choices for citizens to derive their meaning and symbols. With the advancement of science and technology in the modern era, a rationalized, humanistic and pragmatic worldview had emerged. The supernatural had lost its social significance—Americans could seemingly survive without a “transcendent enchantment” and so the Church presenting a supernatural Savior and faith found itself without a ready audience. Using Max Weber’s terminology, Dempsey concludes that American churches had also secularized at the institutional level by routinization. They had petrified in their traditions and provided no relevant meaning and fulfillment for people. This resulted in the marked decline in church attendance in American mainline Christianity since the 1950s. In chapter 2, drawing largely from the writings of Robert Bellah and Thomas Luckmann, Dr. Dempsey has provided an in-depth analysis of the cultural patterns and institutional structures to help us understand the reasons why privatized faith has become a personal reality for so many Americans. The surprise omission was the author’s non-reference to the impact of post-modernism on the Church. The author’s two roles of being both a strategic church consultant and a professor of sociology are evident throughout the book. Dr. Dempsey extensively uses past research. He borrowed the categories and characteristics of the unchurched from Russell Hale’s The Unchurched: Who They Are and Why They Stay Away (Harper & Row, 1977). Several graphs are listed making comparisons of various aspects of religious faith among the unchurched from data of his personal research in 1993 with the Gallup surveys of 1978 and 1988. As an influencer of church leadership, Dempsey often employs the actual quotes from numerous unchurched individuals and personal anecdotes to undergird his conclusions. After diagnosis, a good consultant provides prescriptions. This is precisely what the author does. The most important prescription Dempsey offers is hope. In the final paragraph of the book, the author expresses optimism because unchurched Americans have not abandoned Christianity though they have disengaged from the Church. They are looking for relevance, meaning and spiritual answers. In the growing environment of spirituality, the Church can and must transform itself to seize this opportunity to present the transforming message of Jesus Christ. Encouragingly the book provides some theologically-based approaches and suggestions for a more culturally contextualized ministry. Therefore, Faith Outside the Walls could be a seminary text in church ministry courses and would aid church leadership in re-engaging the unchurched Americans.